This Fall Quarter, I am teaching two courses in the Legal Studies Department at the University of California at Santa Cruz. One of those courses is entitled "Law and Social Issues," and during my first class session in that course I had all the students stand up and then find something they could hold in their hands, like a pencil, or pen, or a set of keys. Something not breakable! Once everybody had a object in hand, and with their arms extended, I asked the students to let go of the object they were holding. Amidst great clatter, all sorts of objects hit the floor. Then, I asked the students what this demonstration had to do with "Law." They did not have the benefit of the T-shirt picture that I have used to head up this posting. One woman quickly answered, "this proves that we are all susceptible to totalitarian influences" (I gather because all the students had obeyed, without question, my unexplained, and perhaps even "stupid," demand). I thought this was a pretty good response, but I was looking for the answer that the next student provided: "It's the law of gravity." 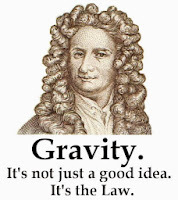 Well, in "our" world, the human and "social" world that my Legal Studies class is going to explore, the Law of Gravity does not apply. That was the first lesson in Law and Social Issues. It might be the most important. 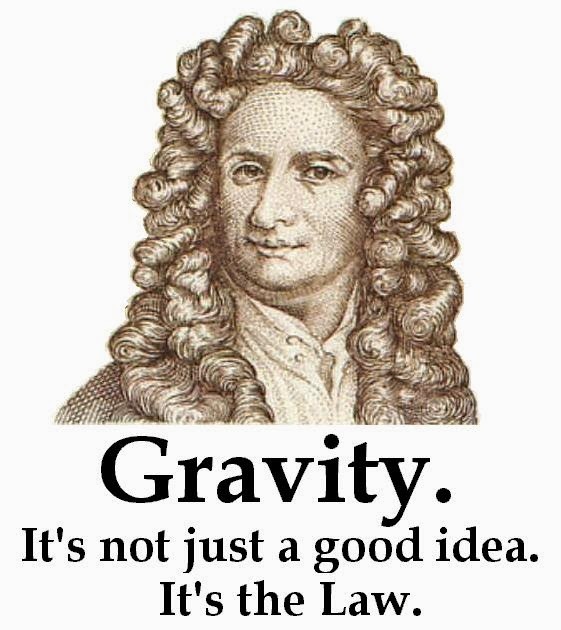 Unlike the Law of Gravity, the laws we promulgate can be broken. And they can also be changed!